So far, through my Christian walk, I have been blessed with four different Bibles. was a small, green, leather bound New King James version that my parents presented to me when I was about 6 years old. It's worn, of course. And in my young mind, underlining in my Bible was a super cool thing to do then. So you will come across occasional pages with little scribbly notes next to verses that I had memorized, that I heard often, etc. My first Bible. And it will always be dear to my heart. was my first introduction to the New American Standard version. Well, Mama has always been using the NASB, but it was my first personal experience with it. And I love it. I think each of us have to find that certain version that just sort of 'clicks' with us, you know? Some prefer New King James...some like the Geneva...some read the regular, old-English King James version. For me, New American Standard was my favorite - and still is. This Bible was large, maroon leather bound. It was also the Bible I had when I rededicated my life to Christ, so it's very special to me. And it was the first Bible that I actually cared to read and study. I had been going through a lot of new growth in my Spiritual walk...and I just felt that in order to completely start fresh, to start new, I needed a new Bible for my next step in my Christian walk. I wanted one that was a little smaller than my current, large, NASB...but I didn't want it as small as my first green, pocket Bible. I wanted a sort of in-between-medium-sized one. I was gonna start saving up the money for it, and one day I was talking to Mama about buying it and she said, 'Well, our church is going to be presenting new Bibles to all the graduates this year, so maybe you should just wait till after that'. I thought that was a good idea:) So I did. The Sunday that they were going to be presented, I watched as my pastor held three wrapped Bibles in his hands. Two of them were the pocket-sized that my little green one was. The third was a sort of in-between-medium-sized one. Oh that bigger one is gonna probably be Noah's, since he's the only guy graduating, I thought to myself. So this new, beautiful, perfect sized Bible has been a constant companion of mine since early July. I decided on a color-code for it and that has been super fun to do while studying and reading through books. God is so good to me...and I never deserved this perfect-for-me Bible. But He decided to bless me with it, and indeed, it has been a blessing. What is your favorite version to read in? >> starting my very own portrait drawing class. I'm the teacher. PS: It's my sister, Eunice's, birthday today:) She's turning 11! How has your autumn been so far, friends?? 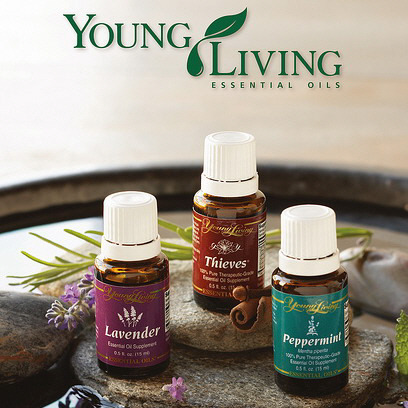 For those of you who didn’t know...A few months ago, I signed up with Young Living Essential Oils as a distributor. YL has been a very big, and extremely useful product in our family’s life for the past several of years. A friend from church introduced us to it and we were buying oils through him, until Dad and Mama talked about it and decided to join in spreading the word of Young Living and getting others to know of its benefits in day to day life. And I thought, ‘what better place to talk about it - and let people know about it - than through my blog? ?’ And really, peeps, even if you can’t sign up with it/use it at the moment, let your parents know or extended family or friends. I guarantee that someone - including yourself - will be greatly benefited by this product! // What are essential oils? Essential oils are the natural, aromatic liquids found in shrubs, flowers, trees, roots, bushes and seeds. They help protect plants against insects, environmental conditions and diseases. They are also significant for a plant to grow, live and adapt to its surroundings. Essential oils are extracted from the plant sources via steam distillation and are highly concentrated and far more potent than dry herbs. While their chemical makeup is complex and their benefits vast, essential oils also have a very pleasant aroma. Essential oils have played a very prominent role in life throughout history- and are even referenced to in the Bible (46 books out of 66) as aromatics, incense, and ointments over 200 times. Many oils (deemed as ‘essential oils’) are derived with harsh chemicals, diluted and/or copied and reproduced in a lab. Cheap copies bring cheap results and have the potential to be toxic. Therefore, it is very important in choosing high-quality essential oils. Young Living Essential Oils is the leading provider of essential oils and offers more than 300 single oils and blends. // How do you use essential oils? There are three ways to use essential oils. Categorization of each oil is based upon well-documented, scientific information, as well as literature from experts on essential oils. The information is intended as a guide; and each bottle has labels with specific directions for use. // What are Therapeutic Grade Oils? Basically, there are 4 grades of essential oils. Grade A: pure, therapeutic and superior quality. They are made from organically grown plants and distilled at proper temperatures. ‘Virgin’ soil is usually where they were raised. Grade B: the most common essential oil and is sometimes labeled as ‘pure’. While Grade B oils are considered ‘food grade’, they aren’t always recommended by professionals for ingestion because they may contain pesticides, fertilizers, and/or carrier oils. Grade C: perfume grade and usually containing the same type of chemicals as Grade B oils. They also often contain higher yields of oil per harvest. Floral Water (‘Grade D’): a byproduct of the distillation process. Often used for more expensive oils, such as Rose Oil, since it takes 5,000 pounds of rose petals to make just one pound of essential oil. // How do I know if essential oils would work for/on me? It’s never not worked on anyone. Each bottle has a topical, aromatic or dietary use label on them. Some oils may be used more than one way, while others can only be used for one. Some oils must be diluted because of their extreme potentness (which can sometimes cause irritation to skin). Very rarely people have encountered skin discomfort from using Young Living essential oils, but most of the time, it’s a manifestation of their need FOR the oil, because the oil is extracting toxins from their body through their skin. Young Living therapeutic grade essential oils have an intelligence about them that deciphers the need to remove these toxins from a person’s body. So there ya have it! I kept this first post kinda short - just to introduce you to what Young Living essential oils are and how they’re used. My next post will be about the 9 oils that are known as the ‘Everyday Oils’ and I will be posting about how they have benefited the health of our family. They are the ones that are/can be used most frequently and come in your Starter Kit when you sign up! To learn more about signing up, click HERE. The link will direct you to my Mama's website where you can explore more about Young Living. To sign up, click the 'Enroll Now' button at the top of the page under her email address. Oh, and when you sign up as a distributor, you automatically get a wholesale discount on every purchase you make with them.